At Adam Robinson Design we find that the average inner city client wants two things, great design and practicality. What better way to add style and extra space than with a cantilever bench seat. Much to our delight, more and more people treat their outdoor spaces just like the indoors. They’re used for relaxation and entertainment more than ever. 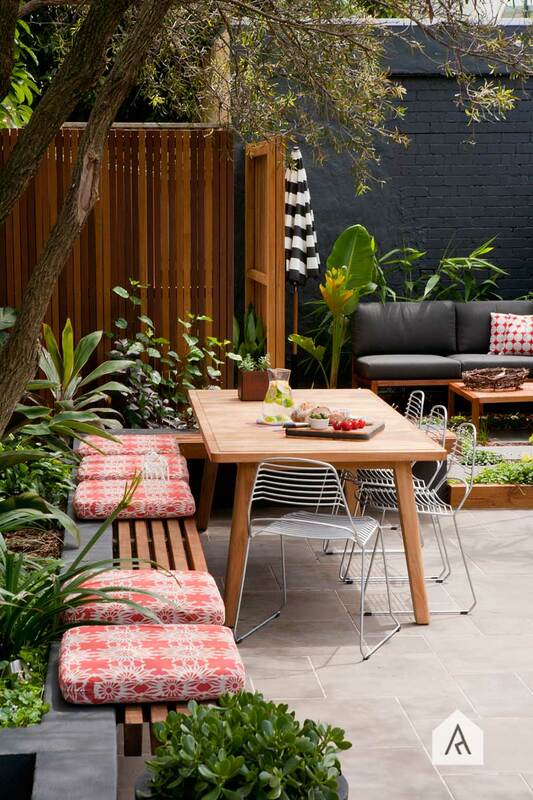 To define a space and provide functionality, designing a cantilever bench seat in to your outdoor space does so much. 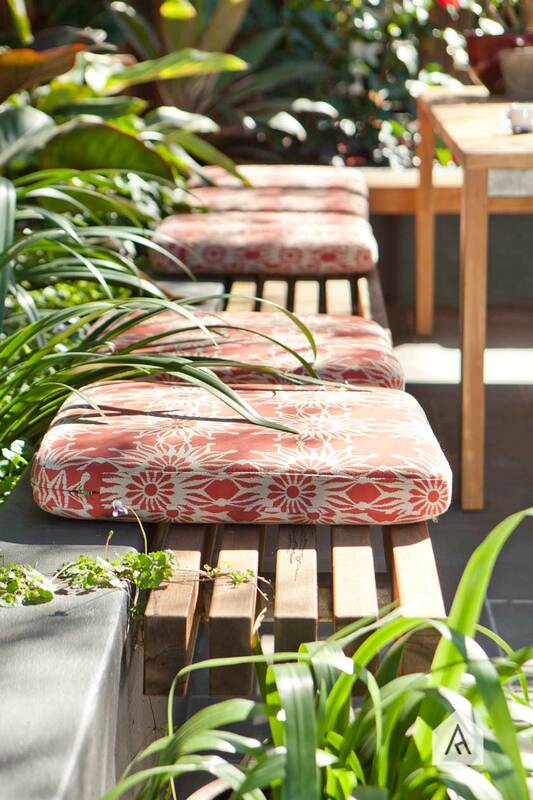 The method of building a cantilever bench seat out from a raised planter bed or wall, for example, makes great use of space in smaller outdoor areas. It adds the bench seating needed to squeeze all of your friends and family in while providing space below it for flooring, plants or storage. Another benefit of adding this type of seating to your outdoor space is the design feature. Visually creating lines that define and accent a space add value to the overall design and feel. A beautiful wooden bench seat extending from a raised planter bed extends the line of the garden or compliments your hardscapes and other lines within the space. For more garden design and tips visit our Style Tips page. The front entrance to your home and the front door itself is a pretty important design detail because it’s the transition into your home from the outside world. Family, togetherness and plenty of hydrangeas for our client. The obnoxious style of arranging flowers, created by Stella Bugbee..